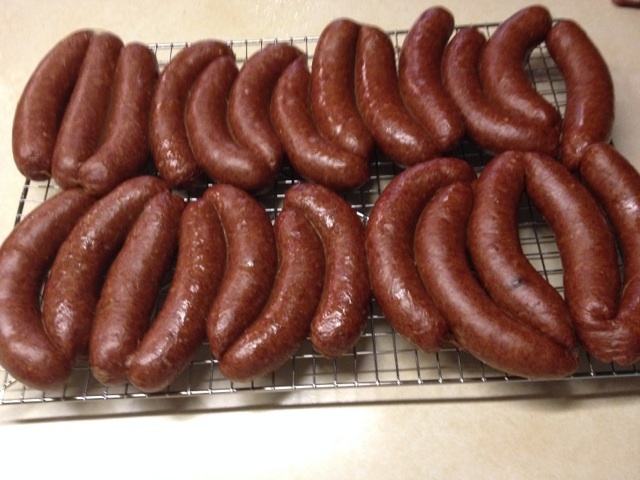 September | 2014 | sausageheavenoutdoors Enjoy making homemade sausage, Tasty way's to BBQ, smoking meats and poultry. See how northern Minnesota was settled and the life early homesteader's lived their lives and more!! The DNR will restrict recreational use of off-highway vehicles [OHVs] in some areas during the upcoming firearms deer hunting season. Vehicles affected by the restrictions include all-terrain vehicles [ATVs], off-highway motorcycles [OHMs] and registered off-road vehicles [ORVs] such as four-wheel drive trucks that are not being used in conjunction with deer hunting by a licensed deer hunter. The restrictions, which apply to state forest trails and access routes but not to state forest roads, and aim to protect recreational riders from potentially unsafe riding conditions and to minimize conflicts between deer hunters and recreational riders who may inadvertently disturb them. Licensed deer hunters may still use these routes in conjunction with their hunting activity: Before legal shooting time. From 11 am to 2 pm. After legal shooting hours. 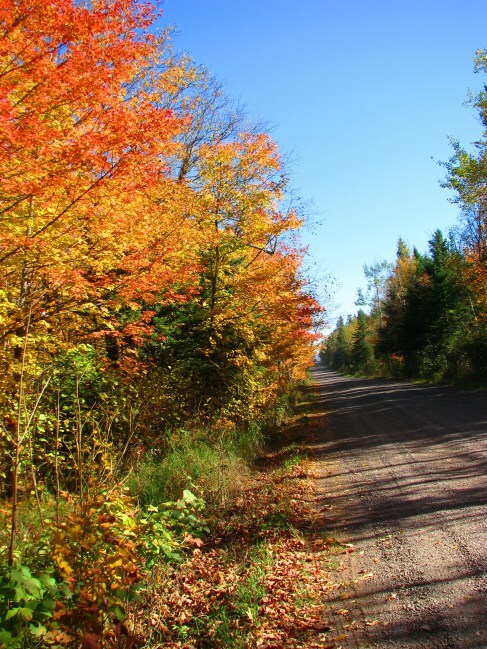 Effective dates of the recreational riding restrictions will be: Nov. 8-23 for the northeastern Mn. 100 Series deer season. Nov. 8-16 for the Mn. 200 Series deer season. Because recreational OHV trails located in southeastern Mn. close Nov. 1 each year, no additional OHV riding restrictions are necessary in that part of the state. Always put safety first. 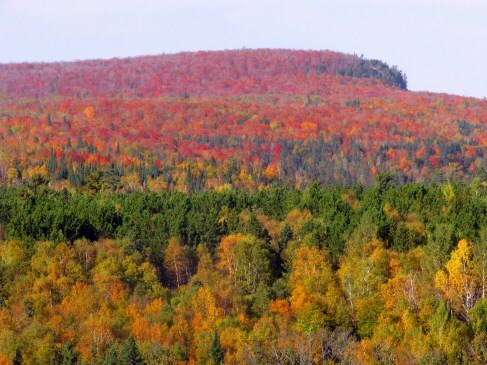 For anybody looking forward to going up north along the north shore and inland for the fall colors, the time is now and into the next two weeks according to reports for the State Parks in the area. These include Gooseberry Falls State Park, Split Rock Lighthouse State Park, Tettegouche State Park, George Crosby Manitou State Park, Temperance River State Park,Cascade River State Park, Judge CR Magney State Park, and Grand Portage State Park. Colors are changing incredibly quickly along the maple ridges and inland and for those on Hwy 61 you will see the beginnings of color. 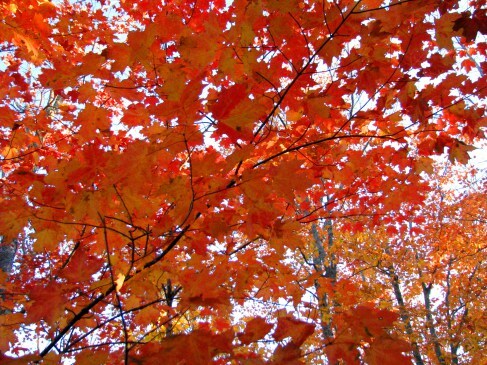 Maple colors will be at peak within the next week in most, but not all places. The length of peak will depend upon wind and weather but we should have birch and aspen second peak colors beginning in a week to 10 days. So if you get a chance, take that trip, it will be a beautiful ride for you and your family. 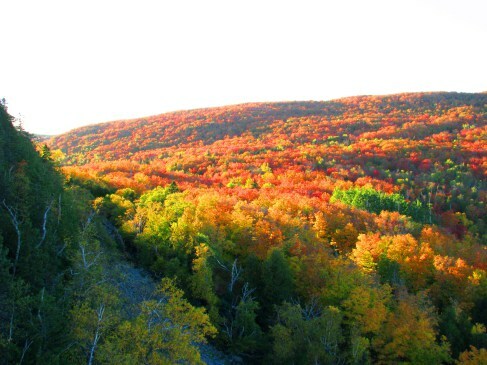 Here are some pics from past fall colors of that area. 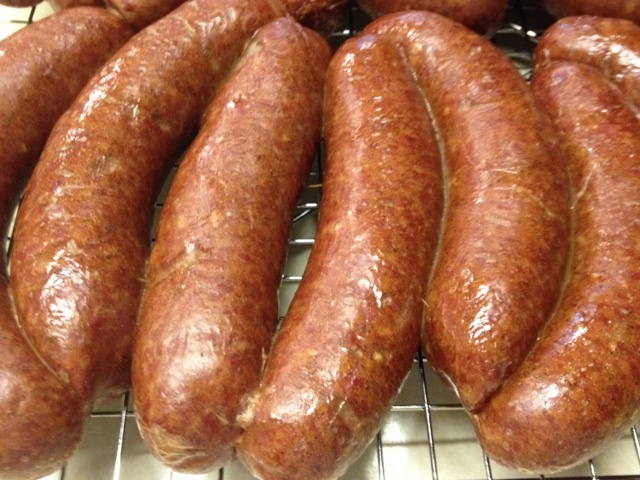 It’s getting very close to Deer Hunting Season and that mean’s thoughts of venison sausage are growing within my taste buds. 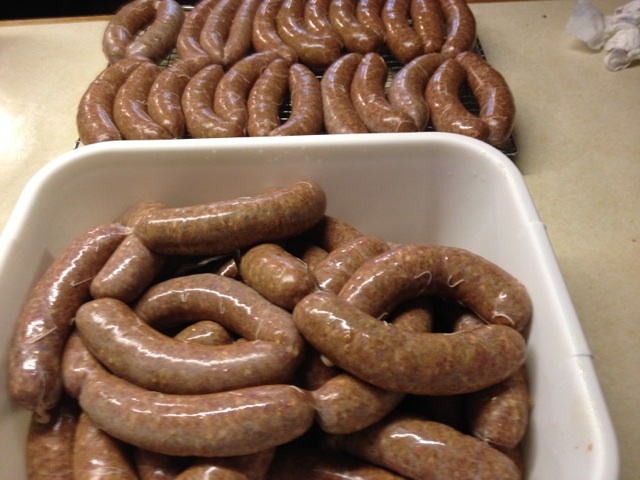 I’m all out of venison, but I did pick up some pork butts and some beef to make some Chili Dogs the other day. Finished them off today. 25 pounds of which some will go to deer camp. 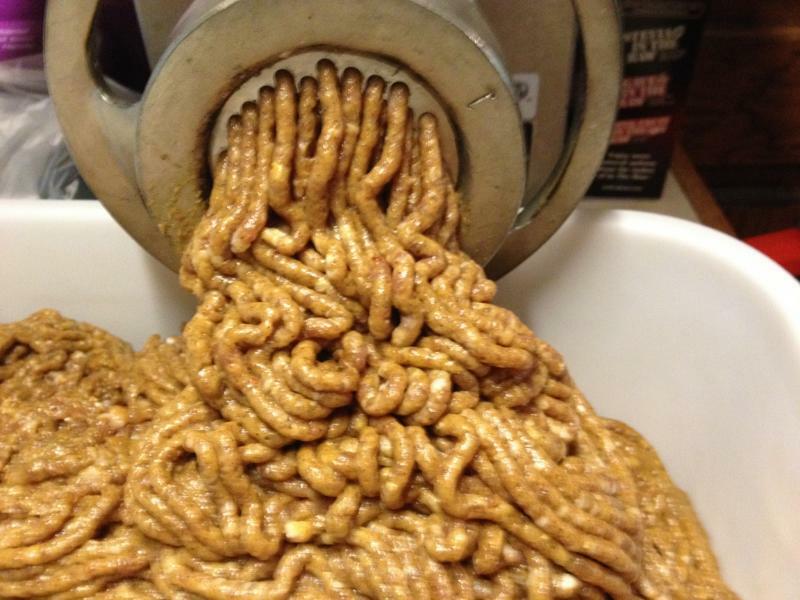 Here are some pics of the last two day’s making these spicy sausages. 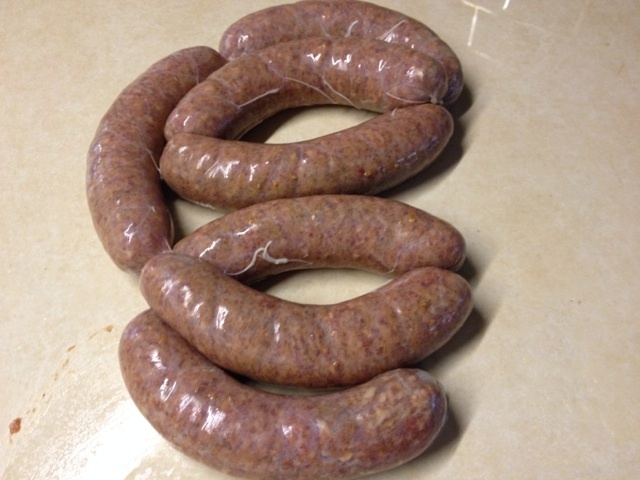 Check out my Homemade Sausage Page for this recipe and lot’s more. Picture yourself walking on a trail through stands of young aspen trees with blazing yellow leaves overhead. The fall air is crisp. Shotgun in hand, you’re enjoying a hike while hunting grouse-Minnesota’s most popular game bird. Something akin to this scene will soon be reality for the nearly 100,000 grouse hunters in Minnesota. The season for ruffed and spruce grouse runs from Saturday, Sept. 13, until Sunday, Jan. 4, 2015; and for sharp-tailed grouse from Sept. 13 to Sunday, Nov. 30. Spring drumming counts were up 34% compared to 2013, possibly signaling the start of an upswing in the 10 year grouse cycle that since 2009 has been in the declining phase. However, brood rearing success may have been affected by a cold, wet spring. Grouse tend to be drawn to young forests where trees are less than a few inches in diameter, and they often are found on the edges of younger woods or the edges of trails where they can feed on clover and broad leafed plants. There are 528 wildlife management areas in the ruffed grouse range that cover nearly 1 million acres, 43 designated ruffed grouse management areas and 600 miles of hunter walking trails. 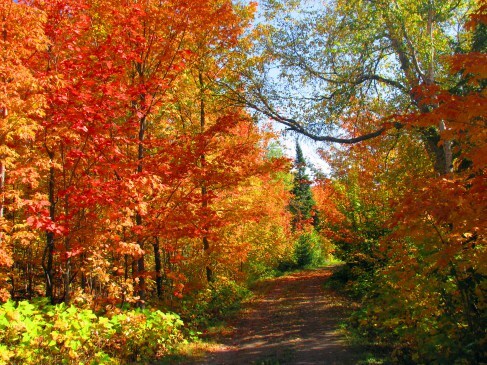 Search for hunter walking trails online at http://www.mndnr.gov/hunting/hwt. State forests, two national forests and county forest lands also offer many additional acres of public land for grouse hunting. Find public land on which to hunt by using the DNR’s Recreation Compass at http://www.mndnr.gov/maps/compass.html. Grouse hunters usually use 12 or 20 gauge shotguns and No. 7 1/2 target or field loads. The daily limit for ruffed and spruce grouse is five combined, with a possession limit of 10. The daily limit for sharp-tailed grouse is three, with a possession limit of six. For more information on grouse hunting, see http://www.mndnr.gov/hunting/grouse. Have a safe and fun hunt.